Ewald Chevrolet Buick, in Oconomowoc Wisconsin, has a great selection of vehicles for sale, from hard working Chevy trucks to comfortable and luxurious Buick cars for sale for drivers to enjoy. With Ewald's Large inventory of new and used Buick cars for sale here in Oconomowoc Wisconsin, drivers such as yourself can easily find and easily afford a comfortable and reliable vehicle that will have much to offer you in addition to years of reliable use and enjoyment. Stop by Ewald Chevrolet Buick today and check out their impressive new and used Buick cars for sale today, such as this wonderful certified used Buick Encore for sale, the 2014 Buick Encore Premium. This used Buick Encore for sale is a very comfortable and enjoyable vehicle that offers respectable power and gas mileage with its installed ECOTEC Turbo 1.4L Variable Valve Timing DOHC 4-cylinder sequential MFI Engine, which provides anyone behind the wheel of this used Buick Encore with 138 horse power, and 148 pound feet of torque, as well as a fuel economy of 23 City mpg and 30 Highway mpg, that helps drivers like you save on both money and gas. This used Buick Encore becomes even more appealing when you take a look at its assortment of great features and options to enjoy while you drive, such as the ride enhancing Ride and Handling Suspension that works hard to improve the quality of your driving experience while also improving your control over the vehicle, as well as its Heated Leather Seats, Multi-zone Climate Control, and Heated Steering Wheel all function well to provide you with a vehicle that is very comfortable to drive, even on long road trips, and do not forget to try out this used Buick Encores other impressive features like the Premium Sound System that will give you even more enjoyability from your music by enhancing the quality of the sound itself, whether played from the Auxiliary Audio Input or the MP3 Compatible Radio. 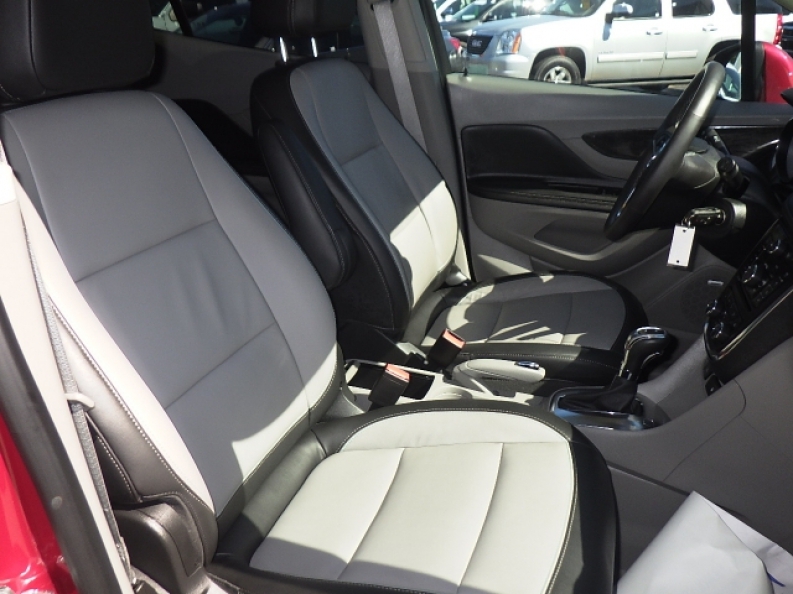 Stop in to Ewald Chevrolet Buick of Oconomowoc Wisconsin today and check out the very long list of other features and installed options that this used Buick car for sale has in store for you today. 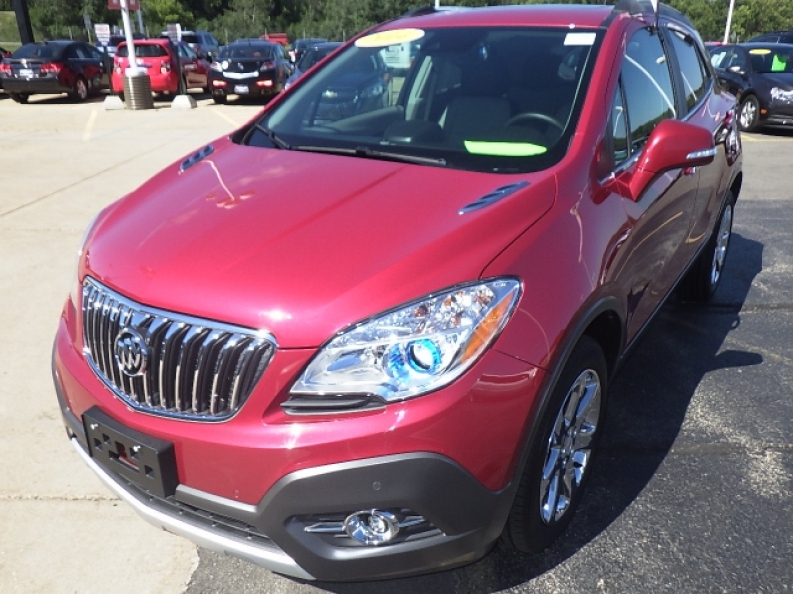 If you want to check out our other Buick cars for sale, or if you would like to try out this used Buick Encore for a test drive, then drop in to our location at 36833 E Wisconsin Ave Oconomowoc, WI 53066.